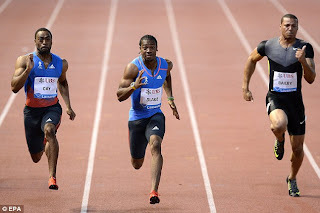 Yohan Blake ran the joint-third fastest time in 100m history as fellow Jamaican Usain Bolt eased to 200m victory in the Diamond League meeting in Lausanne. Blake, who won silver in both the 100m and 200m at London 2012, ran 9.69 seconds, beating American Tyson Gay into second place. Yohan Blake ran his quickest 100 metres on Thursday night to go level with American Tyson Gay as the second fastest man of all time but revealed he was not at his best. His time of 9.69sec in the Diamond League meeting in Lausanne matched Gay’s time from 2009 and is bettered only by his training partner Usain Bolt. Compatriots Bolt and Blake have decided not to compete against each other for the remainder of the season, meaning the Swiss crowd were unable to see a repeat of their showdowns at London 2012. But 22-year-old Blake added: "I would run with Usain any day, he's my training partner. I would love to run with him, but they have to put up big money." Blake's time was 0.06 seconds better than his previous best and Bolt admitted he knew his training partner was going to run a quick time. 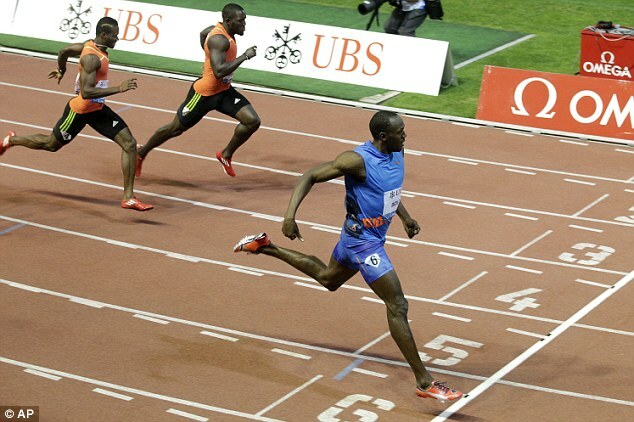 "I could tell Yohan would run fast, I've seen him in training," Bolt, 26, said. "I predicted 9.72, but he went a little bit faster." Bolt himself was not troubled on his way to 200m victory in 19.58 seconds with Churandy Martina of the Netherlands second with 19.85 and Jamaican Nickel Ashmeade third with 19.94. ‘I have more races and I am going to get better and better,’ Blake added, but he will not be in Birmingham to compete at the Diamond League meeting on Sunday. His manager said he had been ‘insulted’ with an offer of only $40,000 to race. 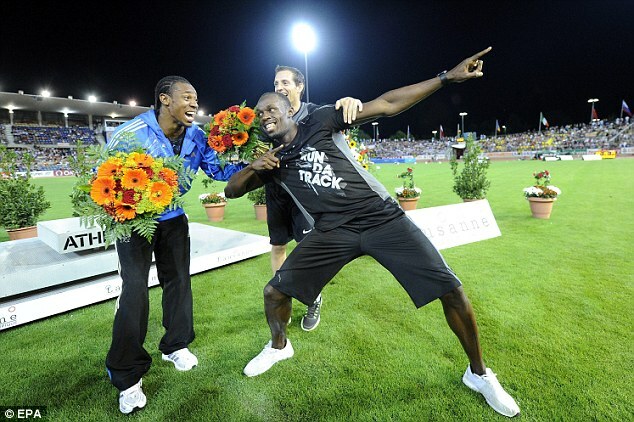 He will have earned more than three times as much for last night’s fastest ever 100m in the Pontaise Olympic Stadium. Bolt declines to compete in Britain outside of the Olympics because tax laws would cost him more than he would be paid. Blake will also stay away because he is not paid enough.